This movie also scared the crap out of me and why I don't use wire hangers. I have big, sturdy plastic ones and nothing else. Dude, American Werewolf in London though. "She said to stay on the main road." Wow I have to say I love that movie. I have feared wire hangers ever since. No joke. I freak when I see them in my closet. I cried for Mara too. And then when my mom was being mean to me I always used to call her Mommy Dearest. She used to get so pissed. I read that book when it came out and watched the movie, too. I'm a bit older than you though. I was 11 or 12 - still probably inappropriate. I just read Possessed - a Joan Crawford biography. According to the author she was a wonderful, generous lady who was just a bit strict and into cleaning. I had a lot of trouble with that movie, because as you know, I pretty much lived it as a child. I watched it, but it was very painful for me. Still a great post! I love finding out what happened to actors later in life. thanks! guhhhhhh! this movie (along with Whatever Ever Happened to Baby Jane?) has been a FAV since i was little. did you see my halloween post where i dressed up like joan? Never freaked me out, I just didn't like it. Good for parody though. Cool where are they now bit too. This movie pissed me off, I always wanted to smack the mom! My mom and I love this movie. 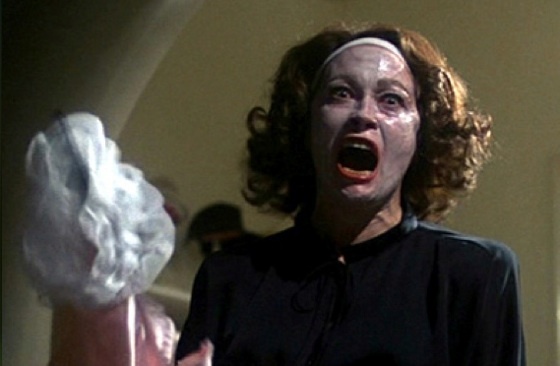 I still call her Mommie Dearest to this day and I give her wire hangers as a mother's day gift. Does anyone remember the parody they did on SNL back in the 70's where Gilda Radner played Christina? OMG that was a pisser. So glad to meet you! Thanks for visiting my blog today, I am now your newest follower! I hate to say this but my Mother (especially the bathroom scene) in this movie is EXACTLY like how Joan Crawford was. That is the reason she and I do not have a relationship today! Would you believe I have never seen this movie? I think I want to now! Loved the movie and all the wire hanger references ever since. Carson in Queer Eye loved to shake wire hangers at the poor straight guys and scream like Mommie Dearest - LOL! And yes, Gilda's spoof was hystercial! Also love American Werewolf in London - watched it over and over, always felt so bad how it turned out. 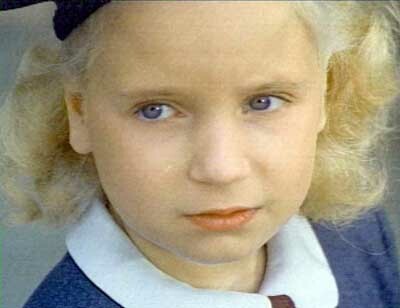 Sometimes the most scary movies were not always meant to be that scary. I remember Watcher in the Woods freaked the crap out of me. Doubt it was supposed to do that. I have not seen Mommie Dearest, but given that I hate horror movies, I doubt I will. That movie came out around the same time I did a presentation on Joan Crawford for class performance. I was too freaked out by hearing about it, I didn't dare see it. PS Thanks for your recent visits, Ally. I hope you're well. I love this movie and yes, it is scary! I've read the book too and would love to know what truly happened! I remember Mommy Dearest. I've seen the movie and read the book. The mother was a Nutter!! I should totally re watch this- thank for reminding me- I was young when I saw it- probably too young! Gosh I remember that. That wire hanger scene is burnt onto the back of my brain! This probably makes me crazy, but I love that movie. My mom and I quote the hanger scene whenever we A)hang up clothes or B)are wearing face masks. It's a classic.